I've said this before and I will say it again: One of the main reasons why I still grace invites of companies for their device launches even after almost 8 years of being a tech blogger is so I could continue bringing these events to you. I know that many of you guys are interested in seeing how companies introduce their latest projects and products to members of the media as well as to bloggers before releasing them; Just to see what goes on behind the scenes. And I feel blessed that my profession gives me an opportunity to be the one to make that happen for you. Last June 19, 2015 at the Crown Plaza Manila Galleria in Ortigas, Pasig City, Cosmic Technologies Inc. - the company behind Cherry Mobile - formally unveiled their newest midrange powerhouse handset, the Cherry Mobile Flare X. 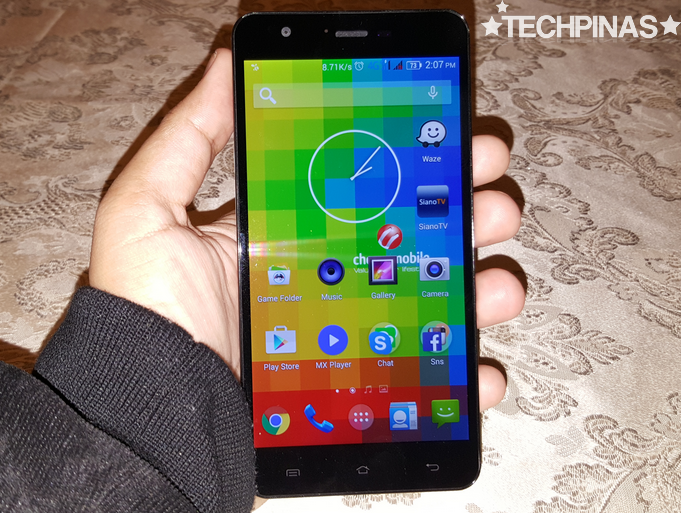 Although our friends from the company didn't tell this to us outright during the launch, it's clear that the Flare X is their response to a handful of handsets by international brands that are slowly taking over the Php 7,000 to Php 15,000 price echelon -- some of which include the Alcatel Flash Plus, Lenovo A7000, and the Meizu M1 Note. Equipped with stellar technical specifications like its 5.5 inch Full HD IPS OGS display protected by scratch-resistant Gorilla Glass 3 panel, 13 MegaPixel autofocus camera with Sony IMX214 sensor and Dual LED flash, 5 MegaPixel front cam, Full HD video recorder, removable 3,000 mAh Li-Ion battery pack, LTE connectivity support, Dual SIM Dual Standby capability, 64-bit Octa Core 1.7 GHz ARM Cortex A53 CPU and Mali-T760 GPU based MediaTek MT6752 chipset, 3 GB of RAM for seamless multitasking, and 16 GB of expandable storage, the budget-friendly Cherry Mobile Flare X definitely has the chops to take on the competition and win. This is a raw capture of the actual announcement of the Cherry Mobile Flare X. Mr. Lonson Alejandrino explained the key selling points of the handset as well as the process that was involved in creating such product. 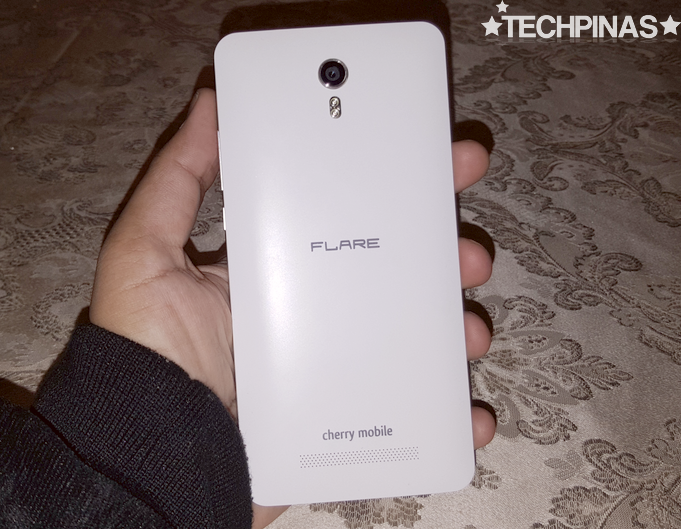 Here, Sir Lonson gave me a casual and light-hearted specs rundown and demo of the Cherry Mobile Flare X. He also shared with me the five things he loves about this release. Cherry Mobile Flare X will be up for purchase at all Cherry Mobile outlets across the country by the first week of July 2015. The smartphone will be out in two colors, Black and White, and will sell for only Php 6,999 -- making it the most premium Flare model in the companies current product line-up.